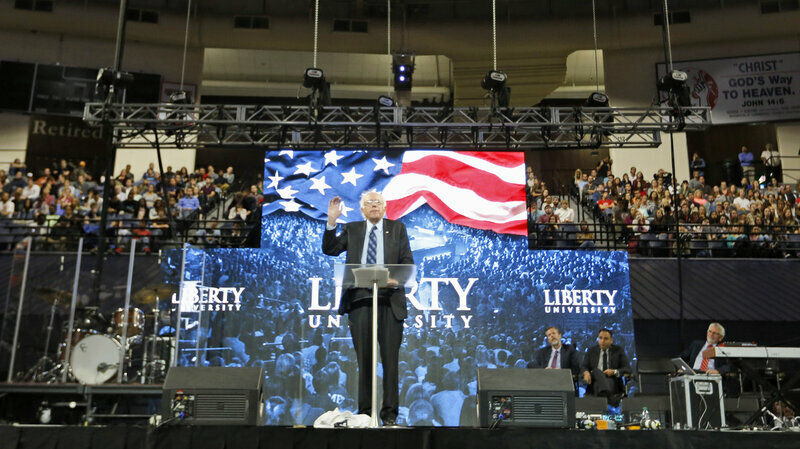 Bernie Sanders went to Liberty University. Hoo-ray for discourse. Students there asked him, after he had said he and they would disagree on abortion, why he is concerned about the lives of the poor but not the lives of the unborn. (NPR has the story here). His (wholly unshocking) Democratic answer was that he doesn’t believe the government should interfere in a women’s private medical decisions. But, that doesn’t answer the students’ question. It feels like an avoidance if you are pro-life. The question neither side will agree to talk about directly is when does life start? As a die-hard supporter of legal abortion, if you tell me a mother killed her 8 month old in-the-womb child, I’d be horrified and I would call it ending a life. If a mother aborts a 12 week old fetus, it is clearly a medical procedure. What does this sound like to a pro-lifer? I can imagine it sounds like “A pregnant woman can decide to kill a baby when she wants to.” So Sanders answer is bewildering if not horrific. For pro-lifers, I assume, life starts at conception. For pro-choicers, it is somewhere else. But there is a line over which once you cross, a fetus is a life. As I understand it, Roe v. Wade was ALWAYS a compromise about this question. And, as a society, we have to find a workable compromise. Would this convince pro-lifers? Probably not. But at the very least, it is more honest and doesn’t leave pro-choicers in the weird position of seeming like we are saying that baby-killing is a medical decision. At best, reasonable pro-lifers could maybe be brought into a conversation about when we are going to say personhood begins. And if they want to talk about this, maybe we can also talk about where it should not go (corporations as political citizens). An anthropology colleague asked me to do a brief explanation of network analysis and theory for a field research class (Thanks Ned Searles!). One part of teaching I love is when the process of vocalizing ideas leads me to say something I never heard but sounds good. I was thinking about how much of the research grind, especially in an ever bigger and more status-conscious world of publishing we live in, is driven not by good questions, but by available data. It’s that time of year… trying to decide the ONE thick, dense academic book I should take on vacation. The one I feel like I should have read, but never did. Is it finish Harrison White’s Identity and Control? Collins’ Sociology of Philosophies? Castells’ Communication Power or the Networks of hope and Outrage? Luhmann’s book on Systems Theory? Should I scan office for other contenders? In the process of tacklign a fun but gnarly research and theory question for a draft, i started to think about how to use past knowledge and tools to do better research. One issue for me is that I at times internalize what I read, forget the source or notes I took, and then when I shift from drafting to revising and I want more literature on hand, I have to recreate what I did or start a frsustrating search through my files. Here is the problem and solutions. Ok, here is a research and writing process question. I am at the point in a draft when I need to tackle two big questions based on readings in literature. 1) What have institutional theorists said about new fields? Specifically, are they characterized by uncertainty, flux, or turbulence? 2) What has been said about how institutional logics affect new fields. I have a wide set of resources on this. A) Books or articles I have read and extracted quotes from. B) Articles in PDF format I have read and/or annotated but NOT pulled quotations from. C) Unread articles or books that I know from searches are directly relevant to these questions. 1) Quick fix. Make a new word file. Paste in all relevant quotes from existing notes. Add nw notes from read or unread until satisfied with answer. 2) Fix that involves creating new knowledge infrastructure I will use from here on. I learned how to use Nvivo, a qual data analysis tool. I realized that everything it does to store, sort, annotate, and index qual data is THE SAME process as one uses for theory. Why not tackle this problem using that. Then I would have a single source this and future research projects. Downside: maybe some learning curve to implement. 3) Fix that involves making the single document in #1, but using a web-based tool, like google docs, so that my collaborators can see and contribute. Note, this can also be done AFTER #2 is done as Nvivo can produce reports of relevant material. For awhile, I have been trying to assemble a list of journal outlets for myself. If we think back to what journals we follow, I think many might have a similar story to mine. I recall as an undergrad and in grad school in sociology and management, I would hold in high esteem what professors gave me. I quickly learned to “read backwards”: to take a new article and glance at the citations (or to look at the intro and lit review) and start taking mental notes of which articles and authors seemed most central. From this, I had a preliminary list of journals that seemed important. And those handful of journals I tended to follow more carefully since I already had a toehold in their conversations and streams of discourse. Meanwhile, keyword searches in article databases exposed me to reading lots of abstracts. Quickly, I started making snap decisions about journals worth paying attention to and which not. Since then (1990s), I have the feeling that the number and volume of published material has increased. Overwhelmed is an understatement. 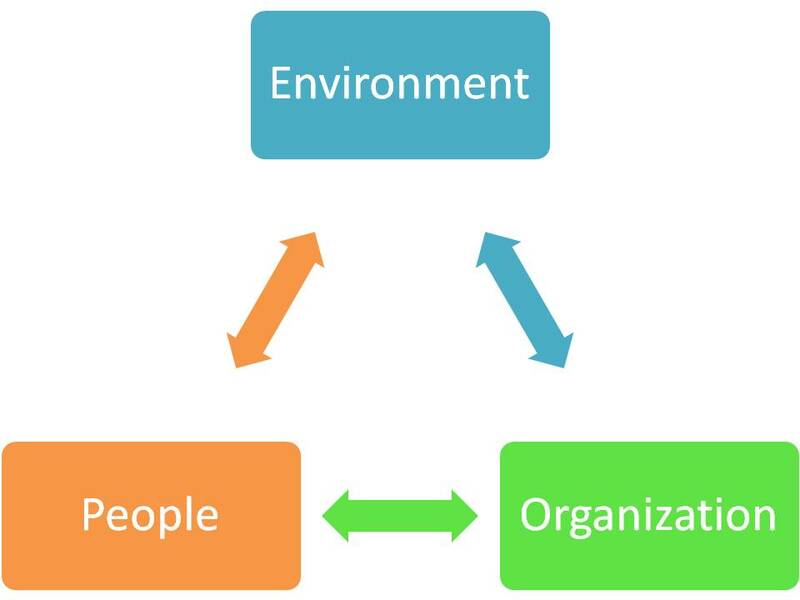 This is compounded by my own multi-disciplinary interests in networks, social theory, and organization theory. Finally, I have realized that some of my own writing, if it is ever to see the light of published day, due to approaches or ideas that are out of the mainstream, will need to find journals that will take risks, are in the interstices of academic fields, that consort with subaltern, or embrace eclecticism. The good orgheads at orgtheory.net tried to make a crowd source list, but it seems to have run aground. Loet Leysdorf does lots of work of co-citation data to make centrality measures of journals, like this one. A colleague once gave me this list that is pretty comprehensive: the Harzing list. I like it since it includes several different quality metrics. There are lots of outfits that provide various lists and analyses of journals. But I am looking for a little more editorial content. Shorter lists that are more targeted and not hide-bound to overly rigid disciplinary boundaries. More opinion. More oomph. Why don’t they seem to exist? I say this based on two dangerously self-referential observations. 1) I don’t already know about them. 2) 20 minutes of basic web searching failed to turn anything up. Sociology of Knowledge by the inmates is probably a bad idea, but I can’t help myself. Maybe they don’t exist because opinion and oomph are not rational career strategies? Where can I submit theory articles? Where can I submit articles on innovation that are interested in inter-disciplinarity? I’ll start making my own here. Meanwhile, feel free to post ideas or suggestions below. Thanks.